Wow! What a film! Amazing is the only way to describe this movie and you would be hard pushed to find someone who disagrees. I think this film could be enjoyed by anybody (as the box office stats show!). Obviously it helps to have seen the other superhero movies- Iron Man, Captain America, The Incredible Hulk and Thor- but I reckon that anybody new to the Marvel universe would enjoy it as well (perhaps not as much as superhero movie fans but that’s because they don’t understand the characters/story fully). But damn, lovers of comic adaptations are going nuts over this and it isn’t surprising. 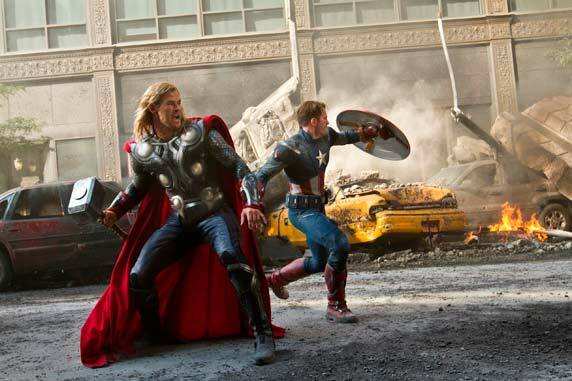 The movie brings together superheroes from the aforementioned films- Steve Rogers/Captain America (Chris Evans), Tony Stark/Iron Man (Robert Downey Jr), Thor (Chris Hemsworth) and Bruce Banner/ Hulk (now with Mark Ruffalo at the helm). Supporting characters from these movies are also included in all-star line-up. Loki (Thor’s evil adopted brother) is the villain who steals the Tesseract, an energy force so big that it could wipe out Earth in the wrong hands. And obviously, Loki’s hands are the wrong hands. He also uses the energy to open a portal so that alien creatures can attack Earth. 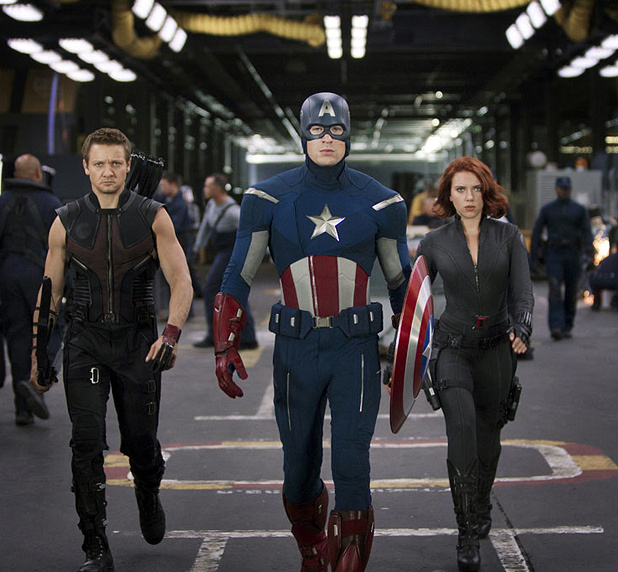 The mastermind of S.H.I.E.L.D, Nick Fury (Samuel L Jackson) wants to set up a programme called The Avengers Initiative, where are the superheroes join force to become unbeatable. 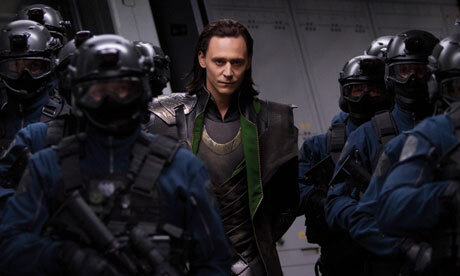 Loki’s possession of the Tesseract puts the plan in motion. Agents Coulson (Clark Gregg) and Natasha Romanoff/Black Widow (Scarlett Johansson) round-up the heroes and get the operation going. 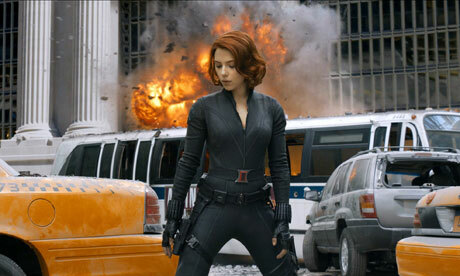 This is led by newly introduced Agent Maria Hill (Cobie Smulders), who is Fury’s second-in-command. Jeremy Renner finishes the lead team as an agent Clint Barton/Hawkeye who is comprised by Loki so the operatives try to bring him back on their side. It’s certainly a lot of names to keep up with but most of them are familiar by now so it isn’t too hard to grasp. Everything about this film is brilliant, especially the dialogue, the effects and the humour. The great thing about this is the interaction between the superheroes- the banter between them is where the humour lies. They constantly ridicule each other and let their egos do the talking before they finally realise they need to work as a team. Stark’s character has always been good for quips so you can naturally expect them from him but serious characters like Steve Rogers and Thor also pulls some funnies out the bag. Don’t disregard the Hulk either- he is hilarious in this movie and like you’ve never seen him before. The acting is brilliant. Loki (Tom Hiddleston) is a fantastic villain because he is so different from what you would expect- suave, articulate and always flashing a perfect smile. You wouldn’t think he was a villain until you see the evil glint in his eye. He is an evil genius- what he gets up to in this movie is remarkable. When I first read that he was the baddie, I didn’t really think it would work because he would have to be mega-bad to be a challenge for The Avengers but I was convinced. The casting is perfect. I couldn’t imagine anybody else in those roles (not just because most have been played previously either!) I thought casting Mark Ruffalo as Bruce Banner was an odd choice at first but it completely works. He is also the first actor to “play” The Hulk and you tell if you look at the green CGI creature. The Hulk was a surprise for me actually because I always considered the movies the weakest of them all and I thought I would disregard him as a supporting hero. However, I think director Joss Whedon and newbie Mark Ruffalo showed the character in a new light and it worked very well. The plot is a bit thin on the ground but you can forget about that when everything else is spot-on. The casting, acting, dialogue, action, pacing, effects, characterisation and screen-time of each character were perfect. You can’t get better than that. There is a reason it has taken the biggest box office opening ever- it is brilliant.